Learn about our local community events. Submit a local nonprofit you feel could benefit from donated painting services here. At New Life Painting, we're honored to support our local community in California's Central Coast through our Paint It Forward charity program. A few times a year, we ask our local community to nominate a nonprofit or family that needs painting services but that can't afford them. Once we've made our selection, we donate our time, services, and materials to help beautify and restore a building or home. 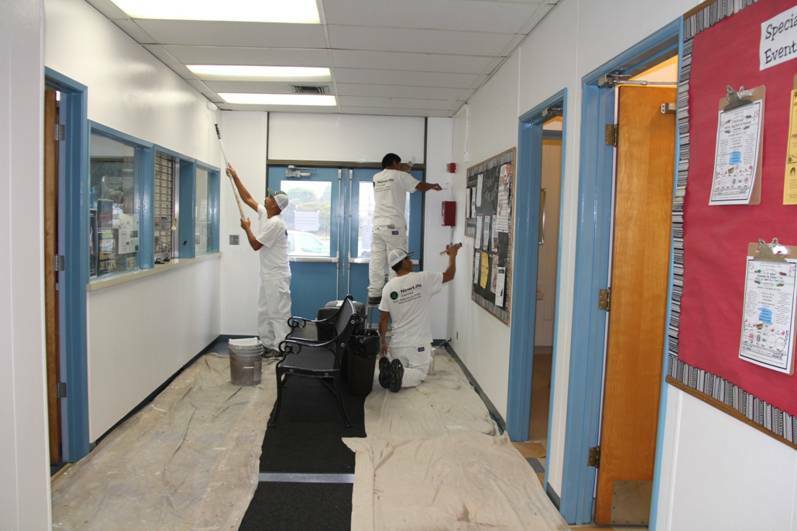 The New Life team was given the opportunity to help beautify and restore the main community center room at the Elm Street Community Center. The center is currently used for a wide variety of community events and programs and we couldn't have been more excited to donate our services! It was our pleasure to help beautify and restore areas of Fairgrove Elementary. Watch the video below to see our team in action! 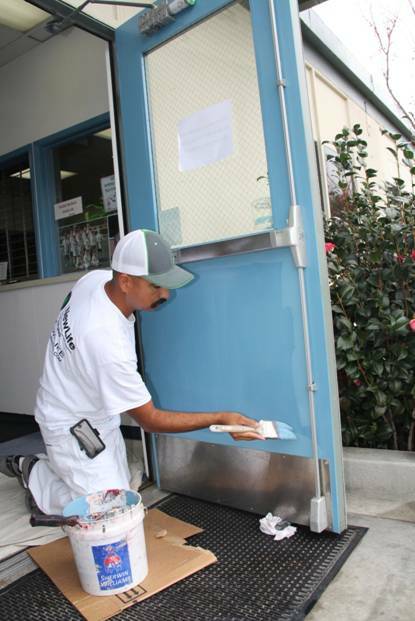 On Monday, May 7, The New Life Painting team was awarded the opportunity to help improve and enhance Dana Elementary School's bathrooms. In addition to fresh paint, this project also included some fun, cool wall decals! 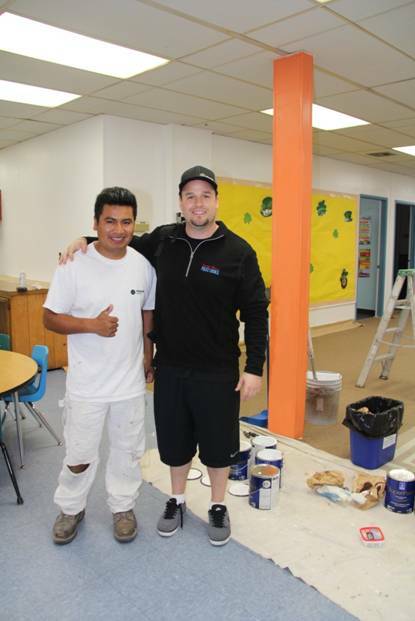 We recently had the privilege of painting the game room at the Boys & Girls Club in Lompoc, CA as part of a larger renovation of the room. The goal of the renovation was to create a space for the kids that they appreciate and was welcoming to them. If you know of a local nonprofit, family, or other organization that is in need of painting services but that can't afford them, please submit their information in the contact form below.